Student loan refinancing can be a powerful way to efficiently conquer your student loans, helping you save money on interest, make lower monthly payments, pay off loans sooner and/or simplify your monthly bill. 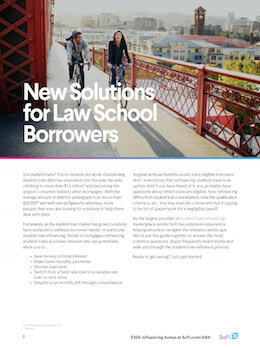 Want to know if student loan consolidation and refinancing is right for you? This free guide is the ultimate resource to answer all your questions!